Cellaring wine can be one of the most enjoyable aspects of the hobby. Between the dramatic effects that aging can have on certain bottles to simply keeping a well-stocked collection for when friends drop by, the joys of cellaring are truly endless. One of the most important things to keep in mind when cellaring wine, however, is temperature, which can make or break the end result of a cellaring project. Keep your temps where they should be, and your wines will age gracefully. Too hot or too cold, and everything is out the window. For those who live in extreme climates, keeping cellar temperatures at the ideal 55 degrees Fahrenheit can be a true challenge. The answer to this common problem may be to install a wine cellar cooling unit, and with so many different options available today, finding a cooling unit to fit your cellar shouldn’t be difficult. One of the first questions that many people have when attempting to keep their cellar temps down is whether or not they can simply use a standard air conditioning unit. Wine cellar coolers work in a similar manner to air conditioners, with one major difference worth talking about: residual humidity. Air conditioners work by actually extracting humidity from the room, while cellar coolers leave a very specific amount of humidity intact during the cooling process. This ensures that the issue of corks drying out never presents itself, and it’s probably the main reason why air conditioners should be avoided when attempting to bring a cellar to the proper temperature. When shopping for a cellar cooler, many people become overwhelmed by the fact that there’s really no such thing as a “one size fits all” solution. Numerous different types of systems exist, and the cellar cooler that’s right for your home may be the wrong fit for someone else’s home. Self-contained and through-wall cellar coolers feature units that contain both the compressor and evaporator, for example, while split systems allow for the two to be separate from one another and in different rooms. Some systems are capable of being outfitted with ductwork, which can be a great way to ensure that airflow issues don’t become a problem in your cellar and can also help to reduce noise. Much of the decision about which type of cellar cooler to buy will come down to both the layout of your cell and also personal preference. Take ductwork, for example, which can help to keep a noisy cellar cooler under control. This is more of an aesthetic benefit than anything else, though if you plan to spend a lot of time in your wine cellar, it may be worth your while. The decibel ratings of a self-contained cellar cooler, for example, typically hover between 50-65 dB. Ducted and split cellar coolers, on the other hand, are much quieter at between 35-60 dB. 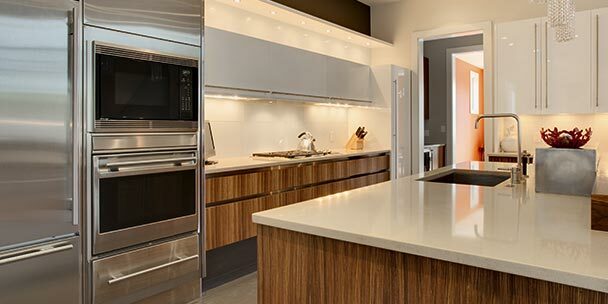 You’ll also want to take into consideration the cost of installing the unit. A stand-alone cellar cooler can be installed easily and without the help of a professional, but ducted and split systems may require a contractor for installation. Clearly, the latter route will be more of an expense overall. As with making any sizable purchase, the more you have to work with in the decision-making process, the happier you’ll be in the end. Most people don’t want to have to replace their cellar cooling system for a very long time — why would they? It’s important to realize that the majority of inexpensive coolers on the market will only last for an approximate maximum of five or so years, while high-quality wine cellar coolers can operate without issue for up to 20 years. Installation and maintenance can both have an impact on lifespan, so be sure not to overlook these important factors. For the longest lifespan, go with a split system. Speaking of installation, there are a few things that should be taken into consideration so as to ensure that your cellar and the rest of your home are not affected negatively. Take, for example, the cooler’s drain line. This should never be installed behind a wall, as it could potentially cause a massive amount of water damage, not to mention the proliferation of mold. Many homeowners also choose to install a vapor barrier to ensure that moisture issues never become overbearing, which can occur due to condensation from the cellar cooler. Do You Need a Wine Cellar Cooler? At the end of the day, it’s always important to ask yourself why you’re shopping for a wine cellar cooler and whether or not you actually are in need of one. For aging wine, you want to have a cellar that stays between 53-57 degrees at all time, with a relative humidity of 55-75%. There are certainly areas where this is common, though any climates that are even remotely extreme during the summer or winter can disrupt these temperatures significantly. Even 10 degrees of variation can be enough to potentially cause harm to your wine, which is what leads many people to consider purchasing a cellar cooler. You’ll also want to consider the costs of installing and operating a cellar cooler vs. how serious you are about properly storing your wines. Do you have a large collection, or are you just simply thinking about how it might be nice to have a wine cellar? If you’re in the latter camp, jumping in and buying a cellar cooler right off the bat may not be the best idea. Those who have case upon case of high-quality bottles to store and are concerned about their longevity, however, have a lot to gain from installing a wine cellar cooler. Wine cellar coolers can help you bridge the gap between temperatures that are almost ideal for wine and those that actually are. 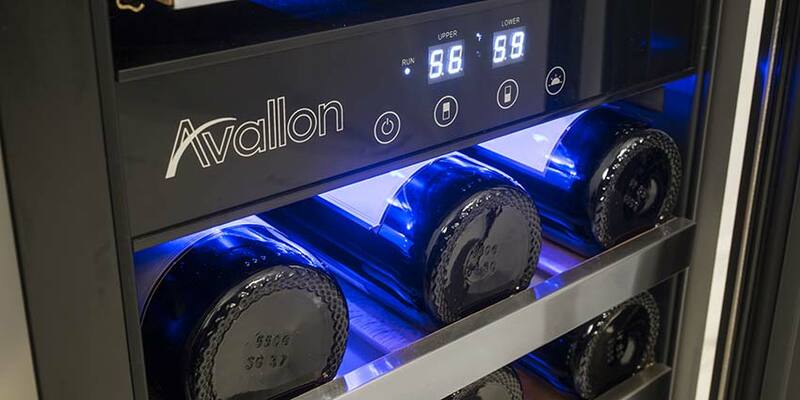 If you feel as if you and your home are good candidates, there’s no better time than now to start the process of adding a cooling unit to your wine cellar, especially if you’re serious about this extremely rewarding hobby. Erik Neilson is a professional freelance writer based in Portland, ME. With a broad background spanning print/online publications, copywriting, content creation & marketing/PR, Erik offers his services to clients across all industries. He is currently Editor of ZEST Maine, a bi-monthly print magazine focusing on Maine food and drink. In addition to being a professional writer, Erik is a critically-acclaimed musician and has released multiple albums under a variety of different projects, including the dark Americana act The Ghosts of Johnson City. Compressor vs. Thermoelectric Wine Coolers: Which One is Right for You?